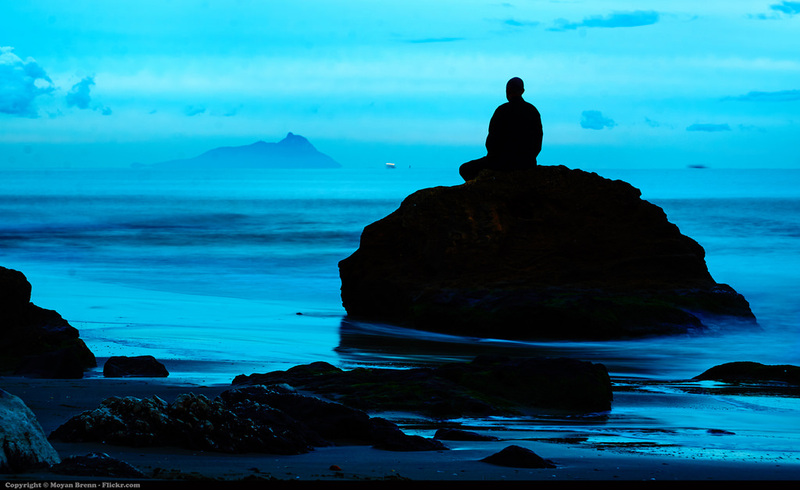 Tip #1 – Meditate. I already know what you’re thinking: ‘But it’s so hard after a busy week to quiet my mind enough to actually relax into meditation. My mind won’t shut off!’ Yes, it’s a Catch-22 situation; you want to meditate to quiet your mind, but you can’t quiet your mind long enough to actually meditate. And you’re right, it isn’t always easy; but if you regularly practice meditation, it gets easier and easier to silence that monkey-mind of yours. Make it a habit to meditate daily, even if it’s for just 5 minutes, and you’ll no longer find meditation to be difficult. Tip #2 – Tapping or E.F.T. (Emotional Freedom Techniques). ‘Tapping’ is a process that combines ancient Chinese acupressure and modern psychology to help heal emotional traumas, clear limiting beliefs, lose weight and even relieve physical pain, fears and phobias. Tapping on the body’s energy meridian points halts it’s natural fight-or-flight response to stress. All of those stressful things in our lives that get our minds worked into a frenzy can be completely let go of after just a few minutes of Tapping (or at the very least, significantly reduced). When you reduce your stress level, your body can relax and allow you mind to quiet. Tip #3 – Practice Mindfulness. Mindfulness is the practice of moment-by-moment awareness of our thoughts, feelings, body sensations and our surrounding environment. Author and Mindfulness expert, Jon Kabat-Zinn, brought his Mindfulness-Based Stress Reduction program to the University Of Massachusetts Medical School back in 1979. Since then, several studies have shown the physical as well as mental health benefits of Mindfulness practices. It increases positive emotions and reduces negative emotions and stress, which allows us to quiet our minds much easier. Tip #4 – Using Essential Oils. Essential oils are not just good for healing our physical body; they can also do wonders for our emotional body. The most commonly used essential oil for relaxation and stress relief is lavender. It relaxes all of your senses which, in turn, helps quiet your mind and lead to a restful night’s sleep. Citrus oils are also good for stress relief, but they will help you keep your energy levels up rather than put you to sleep for the night. Use them to de-stress during the day and quiet your mind when you feel you need a break. Frankincense oil is high in sesquiterpenes, which can increase oxygen levels in the brain and affect the amygdala (the part of the brain that involves processing and expressing emotions) in ways that help release stuck emotions. Whenever you start to notice tension building up in your body, just dab on some Frankincense oil and let it start working its magic. Tip #5 – Spend time outside enjoying nature. It sounds so simple, but when we put ourselves in a relaxing outdoor environment we actually begin to remember that we are such a small part of a REALLY big picture. Lying on a blanket outside on a clear night, looking up at all of those beautiful stars; or sitting under a tree in the park on a beautiful day listening to the birds, your thoughts will begin to move away from your problems and stresses and naturally allow your mind to quiet so that you can just enjoy being in the space you’re in. It’s the simple things in life that really DO make a difference. Tip #6 – Clear your energy and physical space. Using sage, incense and crystals to clear your physical energy and the energy of the spaces you live and work in is an easy and inexpensive way to help lower your stress levels and quiet your mind. Fancy Jasper and Zebra Jasper are two stones that can aid you in: centering yourself, staying grounded and connected during meditation, thinking more clearly and focusing on the present, rather than on the future or your past. Tip #7 – Give your concerns over to the Angels. When all else fails, ask for help! Sometimes life can just feel too overwhelming for us, and if you have any kind of a spiritual belief then you know that you have support outside of our physical world. The Angels are always with us and they want to help; we just need to ask. Ask your Angels to take away your stresses and help quiet your mind. You will immediately notice how much lighter and better you feel, and you will sleep soundly through the night if you do this right before bedtime. Tip #8 – Learn to Trust. This is probably the hardest thing for most of us to do; trust that everything will be okay no matter what. I love what Rev. Michael Beckwith says about stress and worry: He says there are two kinds of things to worry or stress about. The first kind of things are the problems you can do something about, so why worry or stress…just do something about them. The second kind of things are the problems you can’t do anything about, so why worry or stress…you can’t do anything about them. Isn’t that brilliant? There is really no need to let stress take over your life after you’ve learned this lesson; and your mind will quiet itself because you are trusting that everything will work out for your Highest good. Tip #9 – Write it down. Some people find that just writing down in a notebook all of the things that concern them and are causing them stress is the simplest way let go of stress before bedtime. And if you add in a few things in your life that you are grateful for, then you’ve put together the perfect recipe for a quiet mind and a restful night. Tip #10 – Herbal tea and a good book. A nice cup of relaxing Chamomile tea and a good book is always a great way to quiet your mind and de-stress from a busy day …even if it only lasts for tonight. Thank you so much for making it all the way through this article. My name is Ben and I started Spiritual Awakening Tips to help everyone who is embarking on their own spiritual journey and needs a small bit of guidance along the road. If you have a moment I’d really appreciate you liking us on Facebook here and following us on Twitter here. Do you like to read about personal development, spirituality, health or activism? There is a new social network called Aweditoria that is purely based around interests. You can follow topics there and see the best small stories, ideas and concepts in those fields. Click here to try it out, it’s free and only takes few seconds to join. You can also follow Truththeory.com on Aweditoria!
? 5 Things To Know Before Dating The Girl Who Is Perpetually Single Apple Stands Up To FBI, Writes Letter To Customers About Importance Of Encryption ?